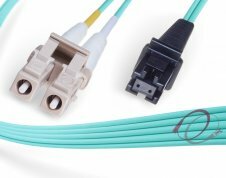 OM4 100G Multimode Patch Cables There are 35 products. 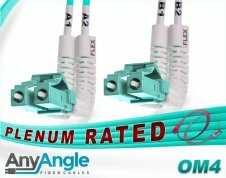 OM4 LC LC 40/100Gb Plenum 50/125 Multimode Duplex Fiber Optic Cable. 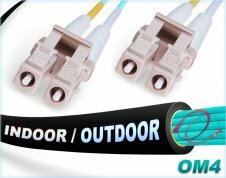 OFNP multimode fiber (mmf) optical assembly with self-extinguishing, flame retardant, UV resistant, plenum rated jacket, Corning 50/125um fiber core, zip-cord reinforced and terminated with small form factor 1.25mm ceramic ferrule LC connectors including duplex lc clips.